Right now I'm obsessed with adding some texture to my apartment and was really inspired by these rooms that incorporated sheepskin. The sheepskin wears well on chairs, rugs or pillows for a touch of character and coziness to any room in your home. Check out this great find at Ikea! 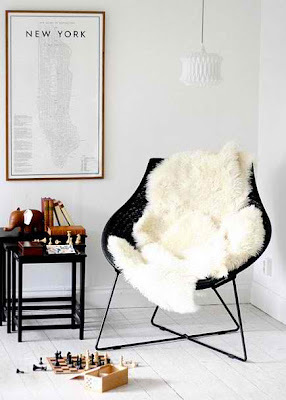 I'm in love with the idea of a ghost chair with a big cozy sheepskin as a cushion. Great inspiration! I absolutely love this! There is also a faux sheep skin at ikea, nearly identical, for only ten dollars! I own it and love it. I love the first picture! Great ideas! Oh this is so fun! 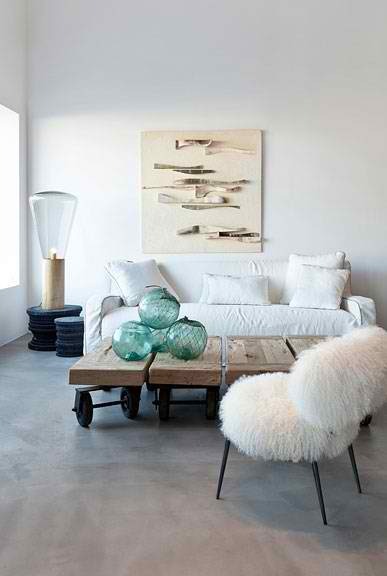 I typically think of sheepskin as a winter thing to cozy up to. 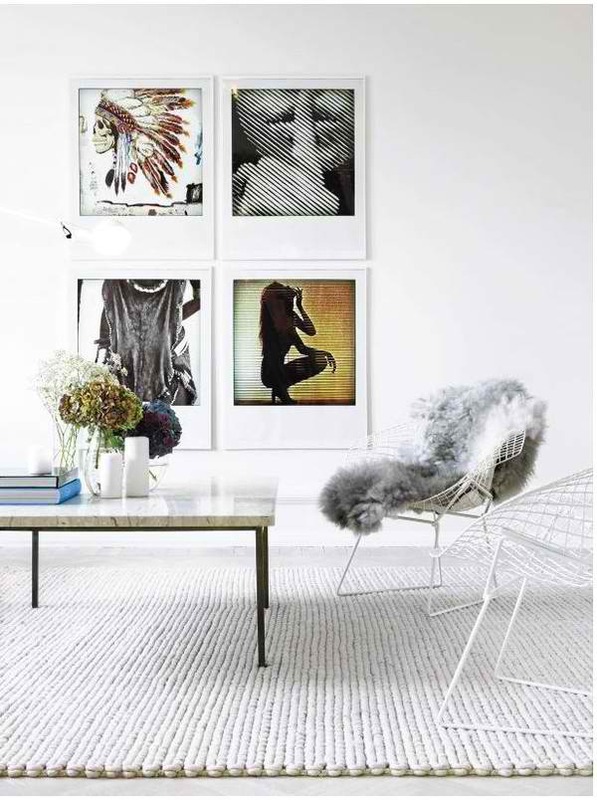 But I adore these lite and breezy photos...great to learn how to incorporate this texture year round! Thanks for stopping by Fashion Truffles earlier! I'm now following. 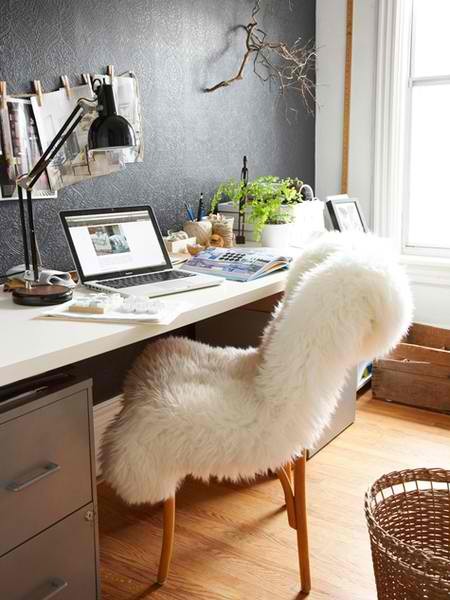 the sheep skin on the chair looks really cool. i love it! and the wood table is awesome, would look great in a cabin! cute blog, new follower! I am totally obsessed with sheepskin! They are like a chambray shirt to me... they go with everything and are the perfect piece to layer with! Love love! Thanks for the inspiration!